Breaking News….All Americans are now living on their own reservations. Government acts to restrict and monitor movement when some seek escape. Trade agreements for Social Security, Obama Health Care, Food Stamps and other social programs offered in exchange for their freedoms. Some unrest as government Reservation Affairs Officers fail to deliver on treaty/legislated and political promises. More news at 11:00. Just what is a Reservation? 1. The act of reserving; a keeping back or withholding. 2. Something that is kept back or withheld. 3. A limiting qualification, condition, or exception: Have reservations about the proposal. 4. A tract of land set apart by the federal government for a special purpose, especially one for the use of a Native American people. 5 a. An arrangement by which accommodations are secured in advance, as in a hotel or on an airplane reservation. b. The accommodations so secured. c. The record or promise of such an arrangement. 1. A camp where civilians, enemy aliens, political prisoners, and sometimes prisoners of war are detained and confined, typically under harsh conditions. 2. A place or situation characterized by extremely harsh conditions. Could it be Reservations and Concentration Camps are the same place? How did this happen to the American people? The United States is a land populated by illegal immigrants over the last five centuries. Some came for freedom of religion and oppressed those here who did not subscribe to their form of spiritual belief. Some came for political freedom and suppressed those who did not choose to conform to their political beliefs. In the case of Native people already living here since the beginning of time, their tribal governments were eliminated and replaced with elected councils approved and manipulated by the new order. Some came for freedom from serfdom and the opportunity for economic freedom only to enslave their own with industrial gulags and politically motivated restrictions on free enterprise. Some came for land ownership surveyingn the landscape ocean to ocean cutting it into big and small squares. They claimed their squares forcing Native peoples on to reservation squares of 2% of the land Natives were promised. The Natives were given only the most unproductive, hostile lands for their squares. Government military patrolled to ensure the Natives would remain in their squares. Then fences were erected on all the surveyed squares to keep all but the “owners” from accessing their property. Security systems were installed and multiple locks were placed on closed doors to keep all but the owners out. Where fishing and hunting was free, a new type of yellow sign fence was erected. Attached to trees and poles, the fence signs read Posted! Keep Out! No Trespassing! Violators will be Prosecuted! No Fishing! Another economic freedom to provide food for all was now reserved for the few. Some came for freedom of speech. They put drones in the sky to monitor themselves. Black boxes in their cars to track their own travel and remind each person they did not own their car horse. They put cameras in stores, on the road ways, in offices, its satellites roaming the sky to see no one broke the rules. They monitored their own phone speech and computer conversations to identify the rule breakers. They photographed protesters and speech makers who opposed the rules. News media was corrupted to report only what they were told to report. Media who violated this rule were censored, threatened with revocation of the broadcast license, and termination of the electrical power to operate their station. People who violated the party line with criticism were labeled “extremists”, “terrorists” or “crazy”. Some came for the freedom to resist totalitarian rule by armed force if necessary. So the very same people took away all their guns or restricted the ownership of weapons to oppose dictatorships by regulation, limitation and bureaucratic permissions. Firearms allowed were from by-gone years, antique, of little threat to the well-armed contemporary fire power of federal military and police. Those who opposed were subject to annihilation at Ruby Ridge, Waco, Texas and Wounded Knee. They came and brought their prisons with them locking up more people than any other country in the world. Prisons were built as large as Attica and as small as one room in a walk-up ghetto in New York City. Prisons were made as small as a picket fenced suburban tract house or as large as an ocean side mansion in Miami. All were now confined to their own reservation. Theirs was a reservation of fears and government dependencies. Each personal reservation had its own character. Some were based on greed while others were confined by a government no longer needing their labor, preferring a large, poor, docile and controllable dependent and dependable voting class. No longer free with no place to go. Selling the last thing they have for sale, their freedom. 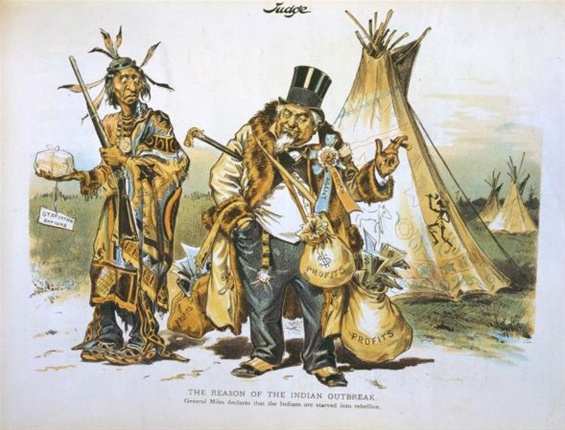 History shows what goes around with Native peoples come around to the oppressors. Welcome to your own reservation. Say goodbye to freedoms. Long live the memory of resistance from Geronimo, Crazy Horse, Sitting Bull, Tedyuscung, White Eyes, Lapowinsa, and many others who fought the good fight and knew when it was a good day to die. Sorry to hear that! I use to work at Bluemount a long time ago with your brother Jeff! That was a great place to ski. Sorry it went bust. I was teaching mathematic at Arcade then. How did you discover my blog? This bear lake you are talking about,Isn't that where your brother lives? Yes, my brother owns the campground, store and marina here. I move here at Bear Lake from New Mexico after my sons mother was killed in a car accident. Love the picture to go along with this story. You are amazing.